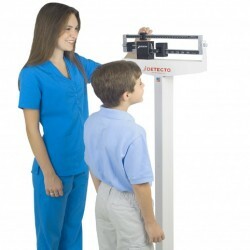 Detecto eye-level mechanical weigh beam physician scales feature a heavy-duty solid stable 10.5 x 14.5 inch platform, a dual-reading die-cast weighbeam which may be read from either side of the scale. Long-lasting, durable steel construction. Height rod, wheels and handpost features available. Detecto’s world-renowned eye-level mechanical weigh beam physician scales feature a heavy-duty solid stable 10.5 x 14.5 inch (27 x 37 cm) platform, a dual-reading die-cast weighbeam which may be read from either side of the scale. Long-lasting, durable steel construction with an electrostatic powder paint finish for optimum quality. Capacity may be increased by using an optional counterweight. Scale is 59 inch (150 cm) high. Height rod, wheels and handpost features available. 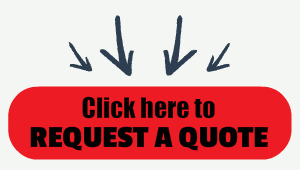 For many years, Detecto has been considered the largest medical scale manufacturer in the United States. We also offer Stainless Steel versions of this scale as well. Detecto’s world-renowned eye-level mechanical weigh beam physician scales feature a dual-reading die-cast weighbeam which may be ready from either side of the scale. Long-lasting, durable stainless steel construction and a heavy-duty solid, stable base 10.5 x 14.5 inch (27 x 37 cm) is perfect for locker rooms or high-humidity areas. Capacity may be increased by using an optional counterweight. Scale is 59 inch (150 cm) high. Available with or without height rod.